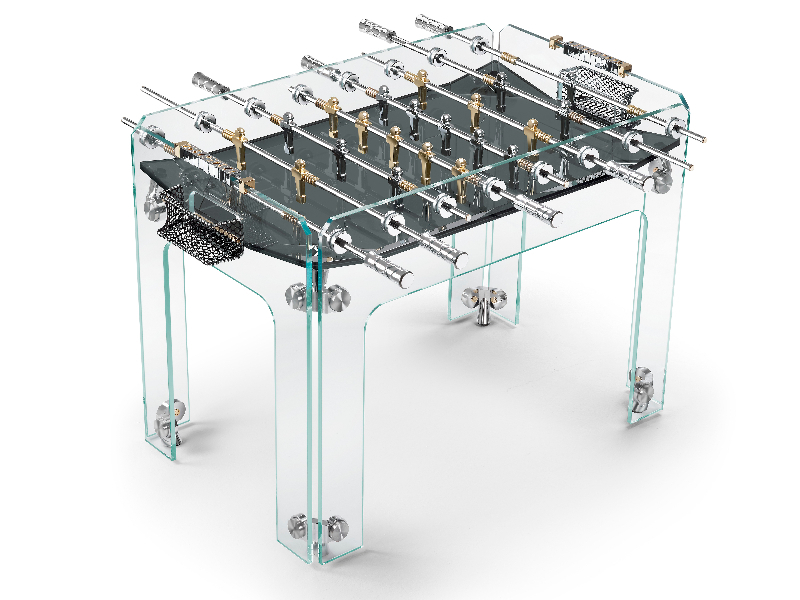 This model, made by the Italian manufacturer Teckell, stands for 90 minutes which is the amount of time for a regulation soccer match. 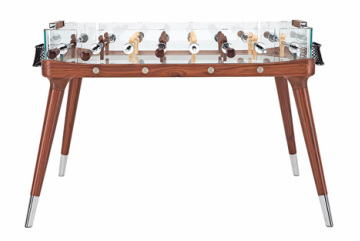 This table is made in both dark Walnut stain and light Ash colors which are both used as the two team colors on the inside of the playing field. 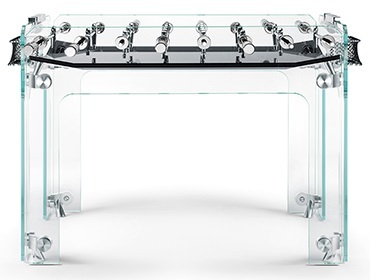 It is a fancy modern design featuring crystal glass cabinet, aluminum and natural ash wood for the legs and handles.